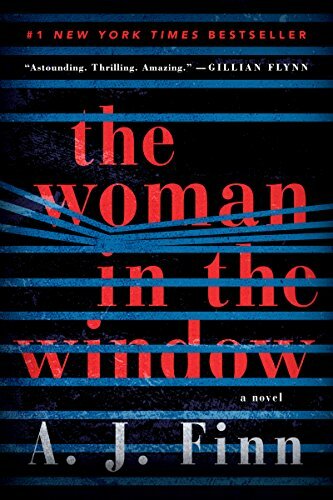 Anna Fox is the Woman in the Window. She is trapped her home, suffering from agoraphobia after an incident (that is revealed when the time is right). She watches her NYC neighbors through the window, sometimes using the lens on her camera to get a better look. She misses her old patients, who she can’t see for obvious reasons, and she misses her family. She helps people in the online agoraphobia community going by the screen name thedoctorisin, and her therapist comes in as well as Bina, who helps her exercise. As for everything else, especially in New York City, it’s easy to get things delivered. Her groceries and wine and medications appear on her doorstep. The wine, there is a lot of it. Too much. She knows it, but it gives her comfort, just like the old Hitchcock movies that she watches over and over again. When some new neighbors move in across the street, she gets involved in a different way. The teenage boy Ethan comes over and brings a candle from his mother. She loves his company. When she has an attack while trying to get her groceries, Ethan’s mom helps get her back into the house. Anna enjoys her visit as well. It makes her wonder what her life could maybe me, perhaps a little less insular? One night she watches a heated exchange between Mr. and Mrs. Russell. She had already gotten the idea from Ethan that Dad was a bit controlling, so her suspicions were up. When she sees Mr. and Mrs. Russell having a heated discussion, she can’t stop watching. Later she sees Mrs. Russell with a knife in her chest, and then she never hears from her again. She calls the police, who treat her like the crazy shut-in that everyone knows her to be. Mr. Russell denies that anything happened, and claims that the person Anna describes isn’t even his wife! There are many twists and turns in this novel, and I enjoyed having everything revealed to me at just the right time. It didn’t feel manipulative at all, and there was a quieter literary quality about it as well.